It is unsettling that the stories of those who have shifted from being a laborer to a farm or food business owner go largely untold, often leaving an incomplete public perception of immigrant families. Harvest of Pride uses first-hand accounts from participants in Huerto de la Familia’s programs to see how gardens, farming and food-based microenterprises can support and stabilize immigrant families. 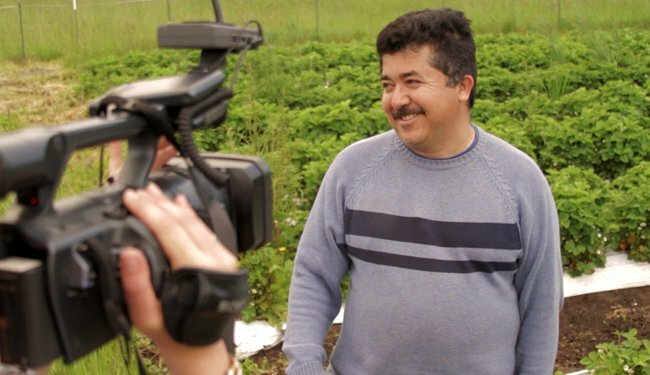 Combining the anecdotes and stories of Latinos in the Eugene-Springfield community with interviews with food justice advocates and others throughout the United States, these film essays contemplate Oregon’s preparedness in facing a challenging but potentially rich future for its growing immigrant population. In addition, we produced a photo essay book to accompany the films with personal reflections from the film director, executive director and participants in Huerto’s programs. See the films here. Special thanks to our partners for their wonderful support.